Through its scope and depth of coverage, this book addresses the needs of the vibrant and rapidly growing engineering fields, bioengineering and biomedical engineering, while implementing software that engineers are familiar with. 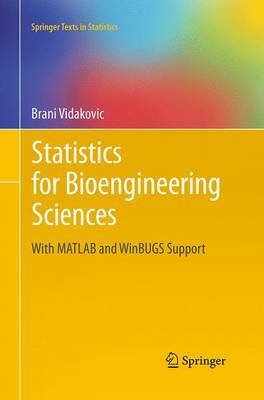 The author integrates introductory statistics for engineers and introductory biostatistics as a single textbook heavily oriented to computation and hands on approaches. For example, topics ranging from the aspects of disease and device testing, Sensitivity, Specificity and ROC curves, Epidemiological Risk Theory, Survival Analysis, or Logistic and Poisson Regressions are covered. In addition to the synergy of engineering and biostatistical approaches, the novelty of this book is in the substantial coverage of Bayesian approaches to statistical inference. Many examples in this text are solved using both the traditional and Bayesian methods, and the results are compared and commented.